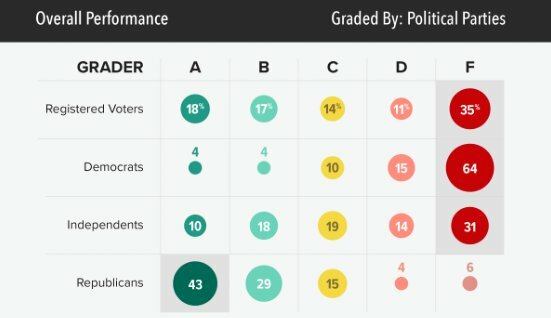 It’s time to present Donald Trump’s first-year presidential report card, and it isn’t exactly what Democrats and Republicans want. To evaluate Trump’s first year in the Oval Office, let’s start with those gloom-and-doom predictions that members of the political Left made when President Trump was elected. 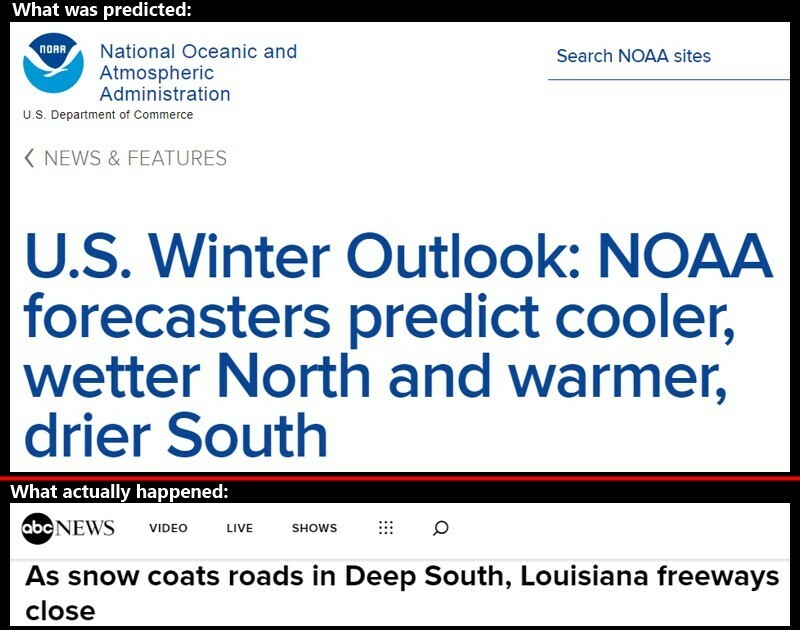 Those predictions were as accurate as the federal government’s 10/19/17 prediction that the southern part of the USA would be experiencing a warmer and drier winter right now. That’s right. The Earth is still turning. So, President Trump doesn’t deserve a failing grade of F. That grade goes to the folks who insist that record cold temperatures are the result of man-made global warming, but I digress. The grade that President Trump deserves isn’t an A, either. So, what grade does President Trump deserve? The answer depends on what one believes that the President of the USA should and shouldn’t do. The problem is that American voters aren’t in agreement about what the President should and shouldn’t do. For example, should the President agree to a deal with other nations that hasn’t been ratified by the U.S. Senate? Should the President agree to give $15 million federal tax dollars to the UN so that other nations can have a smaller carbon footprint? How about this: Should the President spend federal tax dollars to help non-Americans who don’t live in U.S. territory to control the size of the latter’s families? Bleeding-heart liberals in the Democratic Party insist that the President spend federal tax dollars on things that don’t benefit all America, and the former do so because they don’t want to donate their own money to the foreign causes that they favor. Thus, they will give the President a low grade because he refuses to spend federal tax dollars on things that federal tax dollars shouldn’t be spent on. 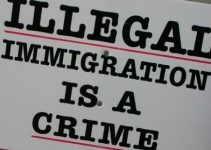 Then there is this issue: Should the President take actions that will reduce immigration cheating? National leaders of the Democratic Party don’t even acknowledge the existence of immigration cheating, which is why they haven’t proposed anything that might reduce it. 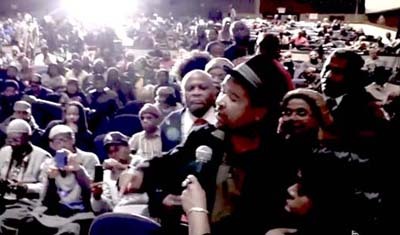 Instead, Democratic Party leaders act as if they want it to take place. Thus, they will give the President a low grade because he is trying to eliminate immigration cheating. 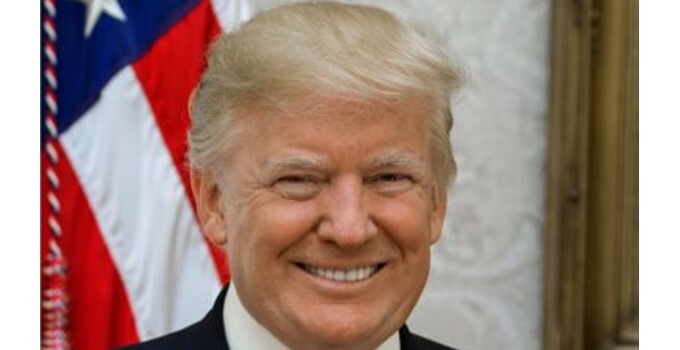 Finally, should the President drain the swamp? That’s a trick question, because the President can’t drain the swamp. He can’t because the thing is frozen. 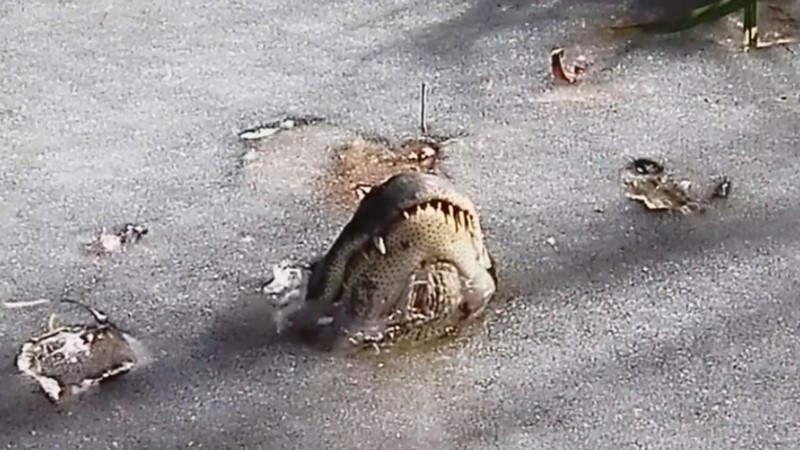 Nothing reveals the failure of climate models quite like seeing an alligator frozen in ice, bit I digress. So, what grade does President Trump deserve for his first year in the Oval Office? I give him a C. What grade do you give him?